The two-year deal encompasses all of KSV Esports’ teams. KSV Esports and Razer have signed a two-year sponsorship deal, putting Razer peripherals in the hands of KSV Esports’ players. The organization’s Overwatch League team, PlayerUnknown’s Battlegrounds roster, Heroes of the Storm squad, and League of Legends players will all be included in the sponsorship. They’ll join the likes of League of Legends team SK Telecom T1 and Dallas Fuel’s Brandon “Seagull” Larned as part of Team Razer. The partnership will include KSV Esports’ future teams, too. KSV Esports acquired the Lunatic-Hai Overwatch roster in August 2017, signing the team to represent the organization as Seoul Dynasty in the Overwatch League. In late November, KSV Esports signed 2017 League of Legends world champions Samsung Galaxy. 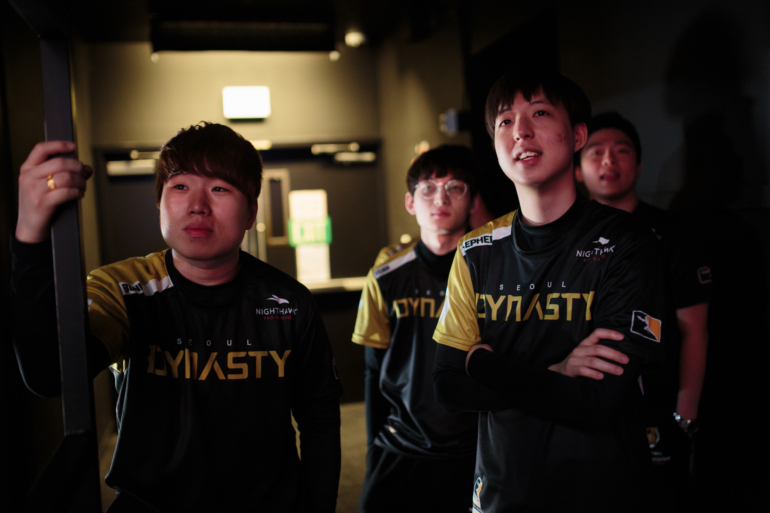 The organization has since grown to include more esports titles, while the Seoul Dynasty stand at the top of the Overwatch League leaderboards. Seoul Dynasty is also sponsored by Netgear’s Nighthawk Pro Gaming division, wearing the company’s logo on their jerseys.